When you ask for a bargain, the worst thing that can happen is that they say “no,” which is effectively what happens if you don’t ask at all. One thing I’ve learned over the last few years is that it’s almost always worth your while to ask for a bargain, almost everywhere you’re at. Here are nine quick examples of what I’m talking about. Ask for bulk kid clothes discounts at a yard sale. The cheapest place to buy clothes for your young children is at yard sales, where you can find tons of barely-worn kids’ clothes for cheap. You can make them even cheaper by asking – make an offer for all of them, save an additional 50%, and not have to worry about clothes for your tykes. Ask for soup bones for free (or for cheap) at the butcher. Buy something at a butcher shop? Ask for any extra soup bones they might have – and literally use them for soup. Toss them in with some chopped meat in a pot of boiling water along with some vegetables – delicious. Ask for package deals at the pottery store. I visited a potter’s barn recently and asked if I could get a package deal on three items – they were happy to oblige to make the sale. It gave me the opportunity to support a local craftsman and business while still shaving some dollars off my bill. Ask for a lower price and/or for free amenities at the car dealership. Go in near the end of the month when salesmen are trying to meet their quotas and negotiate hard, asking for a very low price for your car. The sticker price is just the starting point – ask for something much lower. Ask for extra toppings on your deli sandwich. I used to get a foot long sandwich at Subway. Now I just get a six inch and ask for some of every vegetable (and often for extras of my favorites, such as black olives). Ask and they’d be happy to load you up. Ask for extra ketchup or hot sauce packets at the fast food restaurant. One of my best friends never buys condiments – he just asks for extra packets of anything he can when he visits fast food restaurants on occasion and stores them in his fridge. Again, ask and ye shall receive. Ask for a raise or more flexible scheduling from your boss. If you’ve been doing good work, ask your boss for a raise – or, more likely, a bit more flexibility in your schedule. An employer is more likely to give you some flexibility if you show yourself to be a solid employee – but you’ll never know unless you pipe up. Ask for help on something that’s personally challenging to you from a friend. Having trouble kicking a habit or adopting a healthy new one? Need someone to talk to about your problems? That’s what friends are for – ask them for help. You’ll be surprised how helpful a good friend can be when you need help – just ask, and be willing to help in return when they need it. Ask for cooperation in repaying your debts from your creditors. Having trouble getting rid of your debts? Give your creditors a ring and simply ask for a more palatable repayment plan, one that gives you the room you need. You can ask, or you can keep struggling to get through. Again, when you ask for things, the worst thing that can happen is that you hear “no” for an answer. “No” isn’t a bad thing at all – at the very least, it’s where you were at before, and you often have a better idea of the person or organization you’re dealing with. The biggest problem with this philosophy is that it takes courage and self-confidence to be able to always ask for what you want. Most people feel comfortable asking in some situations, but not in others – and the comfort zone varies from person to person. 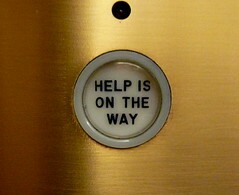 Whenever you ask for help, you’re continuing a value exchange that is at the basis of every relationship. It might be the value exchange between friends, between employer and employee, between client and business, or between customer and business. When you ask for something, you’re simply requesting some additional value – and that’s your right. The other person has the right to agree or disagree, of course, but you never open the door to that value if you don’t ask to begin with. Here are some things you can do to help build up your confidence to ask – and know when it’s appropriate, too. Put extra effort into identifying “asking” situations. Many people don’t mind asking, they just don’t think about it at the times where it can be useful. Spend a day or two focusing entirely on identifying situations where asking for a bit more might come in handy. Look at all avenues of your life – where you eat, where you shop, where you work, and who you spend your time with. One good place to start is to ask for extra condiments at a restaurant, or to ask a friend for a small favor. Both of these are likely to receive a positive answer, reinforcing your confidence to ask for things in life. Build up your confidence by asking for other things, like bulk buys, and eventually move on to big things, like asking for a raise, negotiating a car deal, or kicking a habit with the help of a friend. The key is to build up confidence. Be giving when others ask. When you ask for more things, there will inevitably come a time when others are asking you for a bit of extra help. When that time comes, give of yourself easily and freely, especially if the request is simple. Giving your friend some strong advice and support when they need it (as well as a listening ear and a shoulder to cry on) can help cement a relationship. When someone needs a bit of professional assistance, assist them. If you show that you’re willing to help when asked, others will be much more willing to help you when you ask. DON’T ask just for the sake of asking – and accept “no” when it’s clear. Many people enjoy the rush of getting “something for nothing” (in their mind) and take it too far, constantly asking for things above and beyond rational reason and expressing irritation when they do not get their way. Life doesn’t owe you anything and neither does the person you’re interacting with. You’re merely hoping to shift the value of the relationship a bit – it’s not your right, and believing that it is will cause many problems. If you ask for a small thing and are rejected, let it be – walk away without worrying about it. If it’s a bigger thing, one that merits attention, and you believe you have a real reason for getting what you asked for (like a raise, for instance), don’t hesitate to ask for a meeting about it, but don’t let your request unfairly eat up the time of others. Standing in line at Subway and complaining loudly about how they won’t put an extra pickle on your sandwich not only won’t get you that extra pickle, but it will irritate the person behind the counter and everyone standing in line behind you. Moderation and respect for others is always key.